You42 is the world’s premiere social entertainment platform designed around an ecosystem where creators can engage with fans like never before. 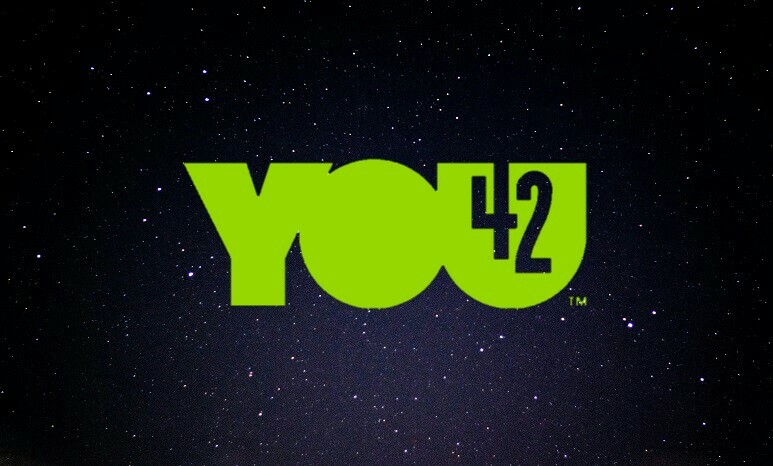 The You42 platform brings together games, music, video, sports, news, and more, giving users everything they want in one central social space. The entertainment industry is fractured. In its analog state, it works in favor of large production houses who are simply masking the reality that they are becoming obsolete. To reach audiences, artists expend more effort jumping through the hoops these houses set up than they do creating content. More often than not, their content is never heard or seen because of the red tape holding them back. You42 seeks to eliminate this problem by removing the middleman from the equation; no longer is a studio or label needed to bridge the gap between an artist and the audience. You42 is a revolutionary social entertainment platform putting artists and fans in control like never before, enabling new levels of discoverability and success. The platform serves as a venue for distribution, content creation, collaboration and consumption. You42 brings content creators and consumers together, giving creators a new avenue for monetization, and providing rewards and incentives for users. Users can interact through social, music, video, gaming and more, bringing together a variety of consumers. The token will be used for advertising, to unlock or view new content, as incentives for users and content creators, etc. We don't have a main competitor who does everything that we do. We have several competitors that do a part of what we do. Our main advantage is that we will truly be one platform for all your social and entertainment needs. Visit u42.io for more info.